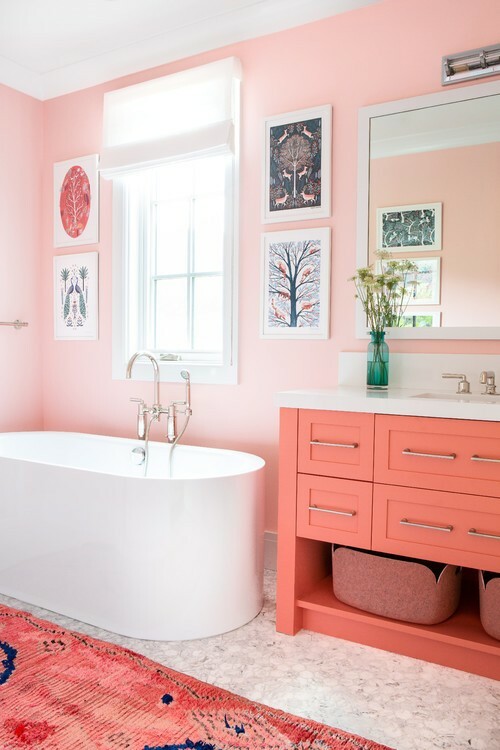 On the eve of Valentine’s Day, odds are you’re seeing a lot more pink and red wherever you go—but if you’re tempted to use these rosy hues in your home, watch out! This romantic color is not for the faint of heart. 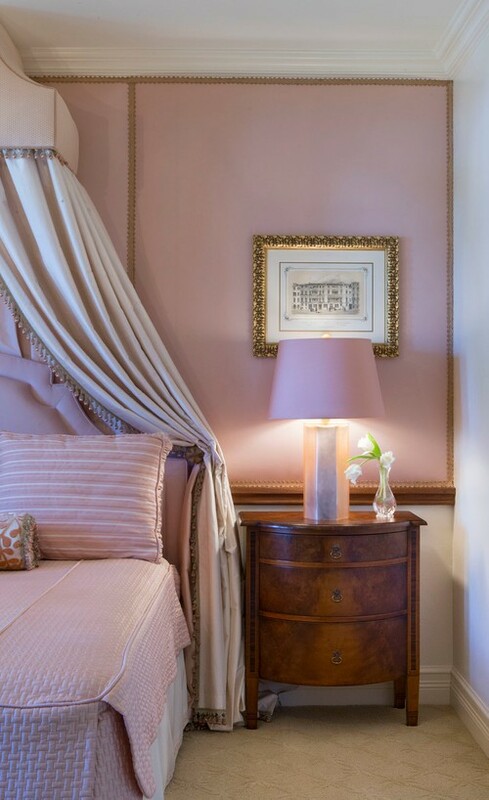 “Pinks, reds, and peach tones are either adored or abhorred,” reports Karen Gray-Plaisted of Design Solutions KGP. Go too far, and it can make your home seem overly feminine or sweet. But done right, these colors can have a calming effect and enhance a room’s ambiance. So if you’ve always wondered how to add pink and red to your home decor, here are some rules to follow. Pink hues work well in bedrooms, baths, and living rooms, especially when complemented with red and purple accents in curtains, rugs, artwork, and pillows, says Gray-Plaisted. You could also go deep red on a powder room. “This color creates visual interest in an otherwise small and boring room,” points out Liz Toombs, president of PDR Interiors. Want to light up your rooms and take 10 years off your face? Install pink lampshades. Jason Oliver Nixon, co-founder of the design firm Madcap Cottage, creates custom shades in pale pink that harken back to old-fashioned, silk-lined cafe lamps in the same color. “They offer such a flattering glow,” he says. Plus, pink doesn’t have to feel too feminine if you pick the right shade. Nixon’s fave? Fowler Pink from Farrow & Ball, named for the legendary English designer John Fowler. “It’s a great pink that isn’t too feminine or sweet, and it works in just about any room,” Nixon says. If you love true fire-engine red, you’re in luck: It’s actually trending, according to Toombs. “This red is making a strong comeback, along with other jewel tones, and you’re going to be seeing a lot more of it used in furniture in the coming year,” she says. One red no-no? Splashing this rich hue where you’re trying to sleep. Red is energizing (lots of fast-food restaurants incorporate it in their logos), but it’s not a great choice in a room that’s supposed to be restful. “This shade is just too bold for most folks to wake up to, but you could paint the insides of a bedroom cabinet bright red for some unexpected magic,” says Nixon. 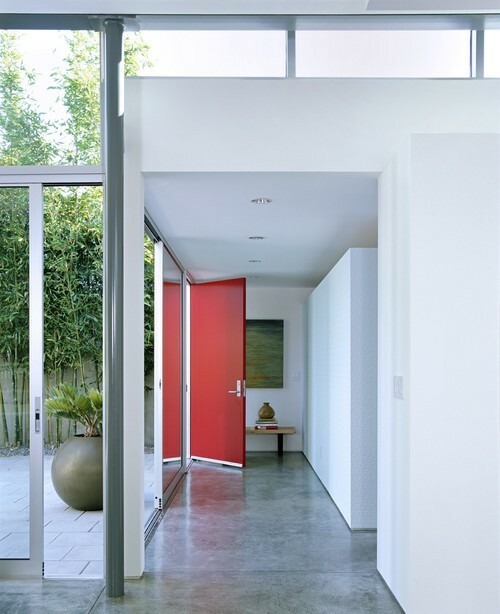 But when it comes to the dining room or a foyer, red is tops. “It’s fabulous for a dining nook, because this space should really have some theatricality and drama,” he adds. Photo by Francis Dzikowski Photography Inc. When introducing reds and pinks to your home decor, know that color trends are moving toward the warm end of the spectrum (think beige tones) so that they marry well with browns and soft neutrals, says Gray-Plaisted. “And cooler or bluer reds, pinks, and peach shades would look nice with true whites and grays, which have also been so popular,” she adds. Living in a traditional space? Formal living rooms benefit from a blend of deep red with gold and sage green, suggests Toombs. Brighter reds pair nicely with cobalt or navy for a nautical look, while playful spaces can embrace pink and green, à la Lilly Pulitzer. And blush pink, gray, and white create a soothing combination. 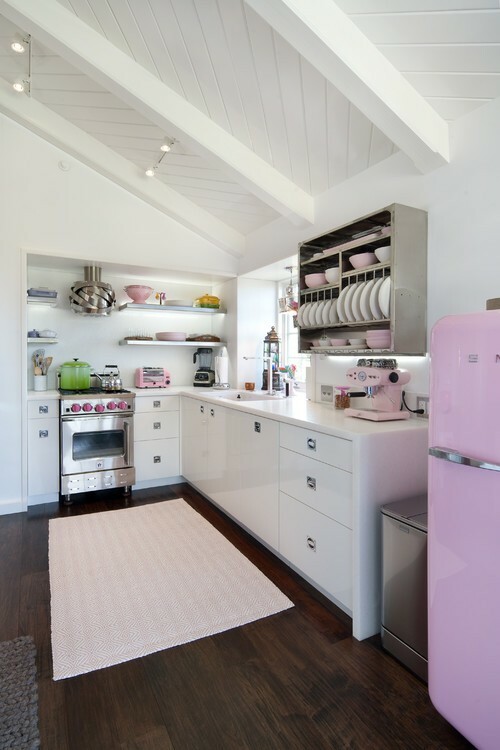 Nixon’s own home includes a set of rose-colored Le Creuset cookware, as well as a pink refrigerator from Big Chill. “It looks deliciously retro and everyone comments on it—why not make a statement with your kitchen fridge or range?” he asks. Other colorful accents include burgundy bedding for a regal master suite and red chair seats to coordinate with traditionally colored Oriental rugs in a formal dining room, says Toombs. She also incorporates pops of red and pink with accessories, including vases and floral arrangements (both real and silk). “And touches of red in artwork create a strong visual and command attention,” she notes. 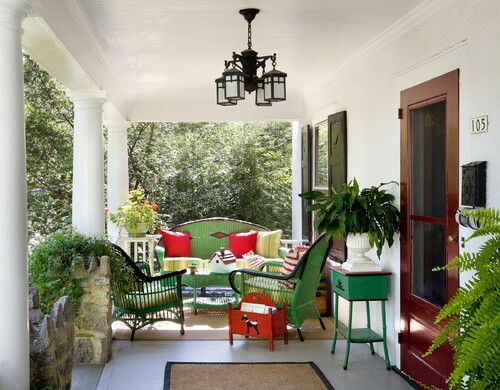 Another small accent that packs a punch is to paint your front door red. Your real estate agent may even recommend a red door if you’re thinking of moving. “Red is eye-catching and memorable, so it serves a homeowner well when trying to sell,” says Toombs. Just be sure to look to your siding, stone, and roof color so you can chose a coordinating shade. But don’t continue your paint brush to the garage door, notes Toombs. “This spot should blend into the home, rather than draw attention, as it’s utilitarian in function and not an architectural focal point,” she adds.